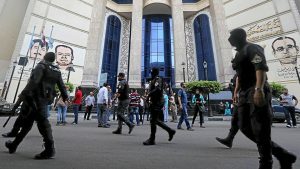 A Cairo criminal court Tuesday pressed life in prison sentences against 43 people involved in anti-government protests in 2011, few months after the revolution, which brought down country’s former strongman Hosni Mubarak. A total of 145 persons were tried in a mass trial over their involvement in bloody protest in front of the cabinet building in 2011. The court also ruled 10 years in prison against nine and five years against another defendant. The court acquitted 92 others in the retrial of the case, which was first tried in 2015 when most defendants were in absentia. Besides the prison sentences, the defendants were ordered to pay $948,661 in fines. 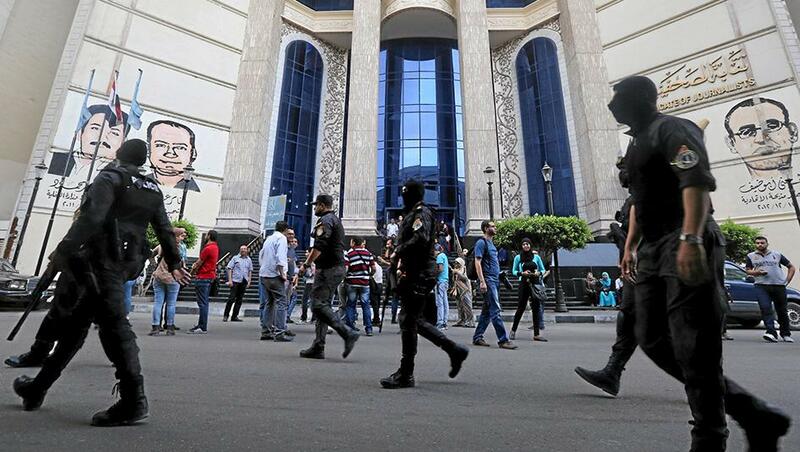 The defendants were accused of vandalising government buildings and institutions, damaging private and public property, hindering the work of public facilities and possessing bladed weapons and Molotov cocktails. The protests erupted in December 2011 in opposition to the appointment of Kamal al-Ganzouri as Prime Minister. Clashes between security forces and protesters left 18 people dead and close to 2,000 injured. Written by: KanelkaTagba on July 26, 2017. Posted by KanelkaTagba on Jul 26 2017. Filed under Headlines, World News. You can follow any responses to this entry through the RSS 2.0. Both comments and pings are currently closed.